From rivalries to repeats, there’ll be a lot on the line when the NHL playoffs begin on Wednesday. After a historic season, the Tampa Bay Lightning (62-16-4) are the favourite to hoist the Stanley Cup. The squad tied the 1995-96 Red Wings for the most regular-season wins in NHL history, and boast both the league’s top scorer (Nikita Kucherov with 128 points) and top netminder (Andrei Vasilevskiy with 39 wins). The Lightning also enter the post-season with the best power play (capitalizing on 28.2 per cent of their chances), the best penalty kill (they’ve shut down their opponents 85 per cent of the time) and the most goals per game (3.89). But the playoffs have rarely been kind to Tampa. The franchise has made it to the final just twice — 2004 when they beat the Calgary Flames to win the Cup and a decade later when they lost to the Chicago Blackhawks in six games. 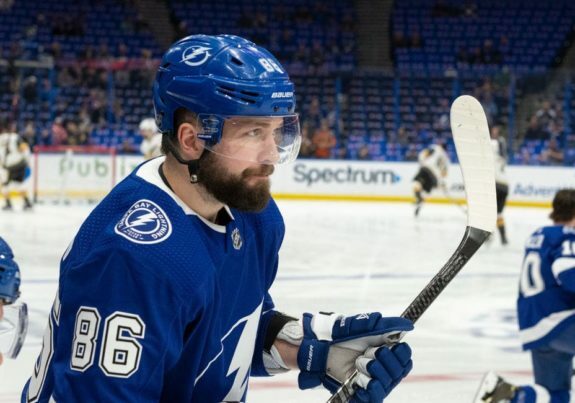 Will the Lightning’s post-season fortunes swing this season? The Washington Capitals (48-26-8) have maintained momentum after capturing the Cup last season. With Alexander Ovechkin at the helm, the team roared to their fourth consecutive Metropolitan Division title. The 33-year-old Russian led the Capitals in points (89) and the league in goals (51) en route to the eighth 50-goal-plus season of his career. Ovechkin isn’t Washington’s only big weapon. Six others on the roster tallied 20-plus-goal seasons, including T.J. Oshie (25), Jakub Vrana (24), Tom Wilson (22), Nicklas Backstrom (22), Brett Connolly (22) and Evgeny Kuznetsov (21). But repeat champs are rare in today’s NHL. The last team to win back-to-back Stanley Cup was Detroit Red Wings (1997, 1998). 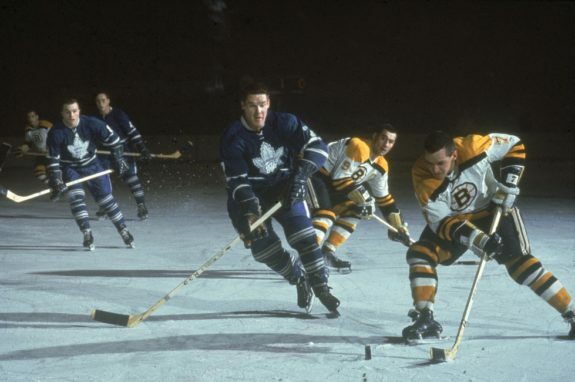 A deep rivalry will be rekindled when the visiting Toronto Maple Leafs (46-28-8) face the Boston Bruins (49-24-9) on Thursday. History between the Original 6 clubs runs deep. The animosity dates back to December 1933, when Toronto’s Ace Bailey was checked from behind into the boards by Boston’s Eddie Shore. The Leafs star was seriously injured by the hit, cutting his career short. Toronto also suffered a humiliating playoff defeat to the Bruins in 1969, when Boston swept the series in four games, including a 10-0 drubbing and a contest that saw Leafs defenceman Pat Quinn deliver an infamous hit on Bobby Orr. Last year, Boston bounced Toronto from the post-season in the first round so the Leafs will be once again be seeking revenge this season. The San Jose Sharks (46-27-9) may enter the post-season with a whimper if their recent play is any indication. The Sharks posted a 3-6-1 record over their final 10 games of the regular season, losing matchups with lower-calibre squads like the Vancouver Canucks and Red Wings. San Jose, however, will be battling another struggling squad in the first round. 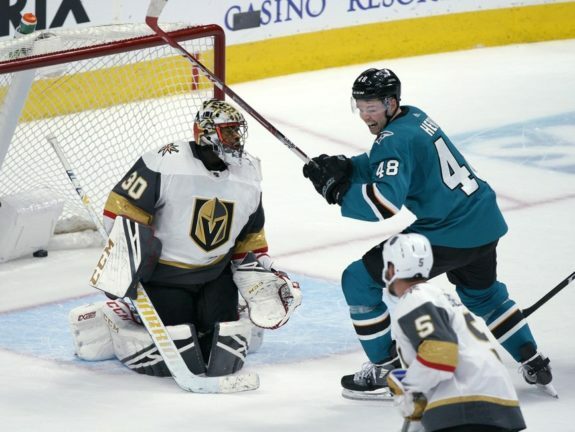 The reigning Western Conference champion Vegas Golden Knights went 3-5-2 over their final 10 contests of the season. The Sharks also have reactivated a weapon in star defenceman Erik Karlsson, who returned to the lineup last weekend after missing 27 games with a groin injury and a two-game suspension. The good news for the Carolina Hurricanes (46-29-7)? They’re back in the playoffs for the first time since 2009, passing the torch for the NHL’s longest active playoff drought to the Buffalo Sabres. The ‘Canes repeatedly went viral online this season thanks to some inventive post-win antics. Ron Francis and Rod Brind'Amour deserve full marks for building this Carolina Hurricanes team, but it was the Storm Surge that put them over the top. The Hurricanes say they’re done with the surge for the season, but how good could one of their post-season celebrations be? The St. Louis Blues (45-28-9) have gone from bottom of the barrel to true playoff contender. The team was last in the league on Jan. 3 but went on a mid-season tear, winning 11 consecutive games from Jan. 23 to Feb. 19. 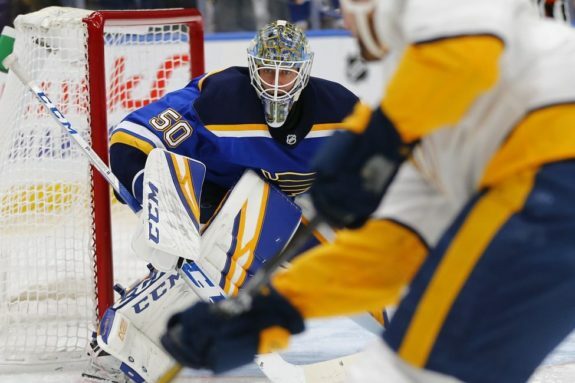 Rookie goalie Jordan Binnington has been key to the Blues’ success, posting a 1.89 goals-against average and .927 save percentage in 32 games. 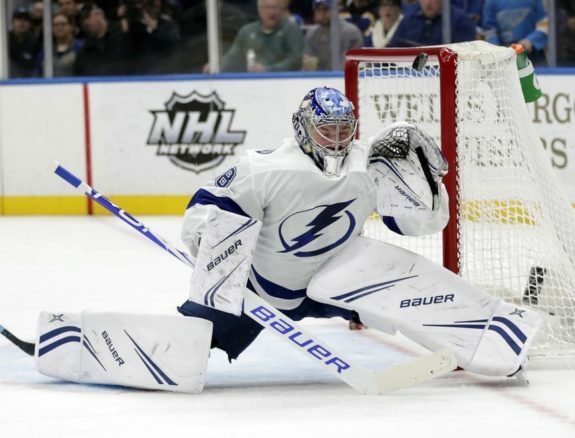 The 25-year-old native of Richmond Hill, Ont., will have to stay strong in the crease in the first round as St. Louis faces the Winnipeg Jets (47-30-5), who were seventh in the league in goals (270) during the regular season. The Golden Knights (43-32-7) made history last year, going all the way to the Stanley Cup final in their inaugural season. The Knights skated through the playoffs, taking out the L.A. Kings, Sharks and Jets before meeting their match in the Capitals. 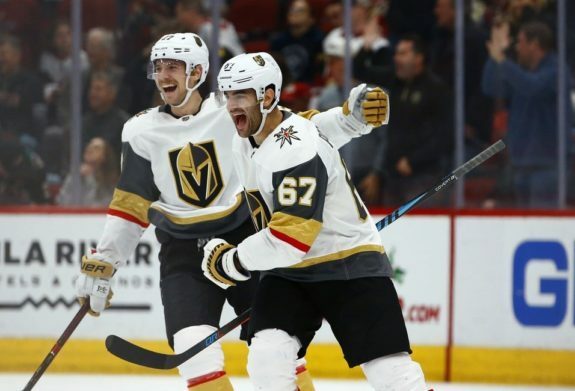 Vegas has since added a number of key pieces to their roster, including free agent Paul Stastny and former Montreal Canadien Max Pacioretty. For some extra offensive muscle, they scooped Matt Stone up from the Ottawa Senators at the trade deadline and signed the 26-year-old right-winger to a big contract extension. The Knights will be counting on their new additions and goalie Marc-Andre Fleury to once again carry them deep into the off-season. The Columbus Blue Jackets (47-31-4) went all-in at the trade deadline, picking up both Matt Duchene and Ryan Dzingel from Ottawa, and opting to keep pending free agents Artemi Panarin and Sergei Bobrovsky. 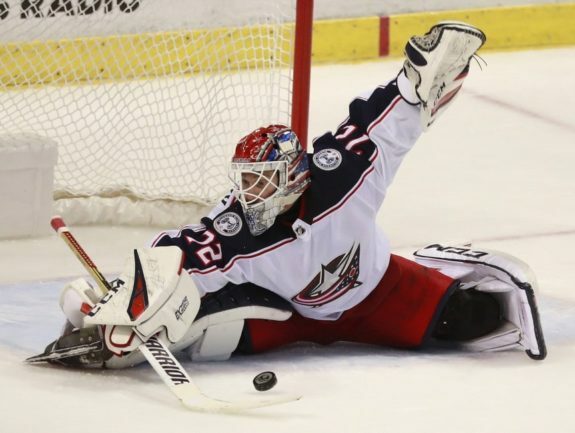 The gamble seemed to pay off down the stretch when goalie Bobrovsky put up four shutouts in seven games through the second half of March, helping the team clinch a playoff spot for the third year in a row. Now Columbus will be leaning hard on their marquee players to help make history and win a playoff series for the first time in franchise history. The task will be a tough one — the Jackets face the Lightning in the first round.